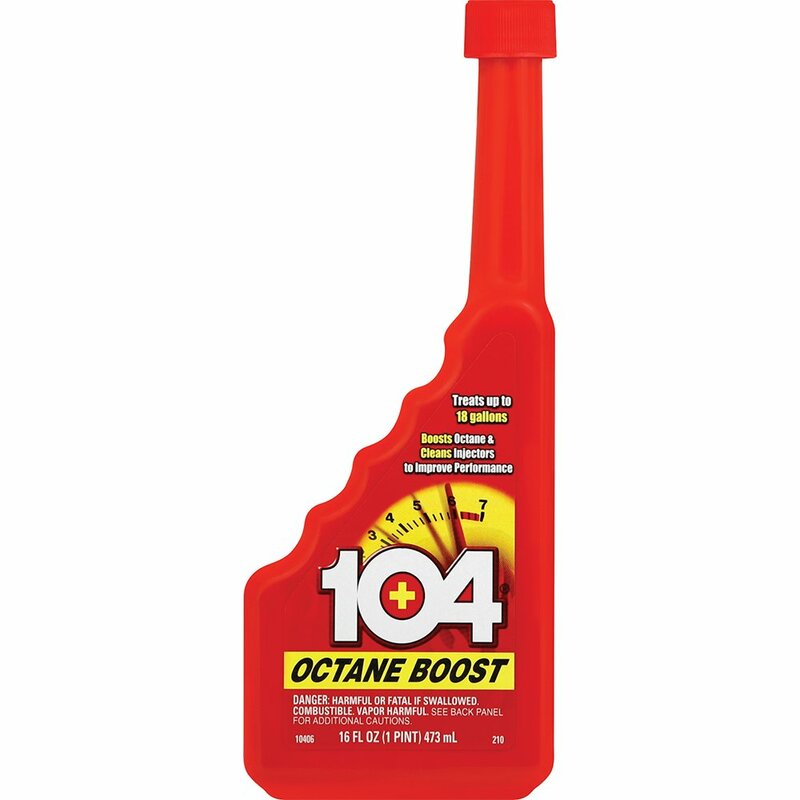 ​Knowing what makes for the best octane boosters can be a minefield … they’re all going to tell you that their product will miraculously help your engine, boost power and give you better gas mileage, ​is it as straightforward as that? I don’t think so, and I’m going to explain why. ​You need to understand that not all cars are going to need the use of an octane booster – it really is quite a specific need … your typical car used for grocery shopping and commuting is probably fine on standard pump gas, although with the ethanol blends now, it’s reaching the point where we’re seeing more and more cars needing a slight boost. ​Most modern cars can cope with lower octane ratings, ​and you might possibly feel that they’re lacking a bit of power. Older cars running on carburetors quite often need to be retuned to suit lower rated fuel, and performance cars like higher octane ratings if they’re going to work as they’re meant to. ​I don’t want to get in to the minutiae of technicalities … if you’re reading this, you probably have a reasonable understanding of why octane ratings matter, so instead, let’s look at what happens when we use low octane fuels. ​A ‘normal’ car, fairly modern, not a muscle car … uses fuel injection (we’ll get to carburetors shortly) to deliver the correct AFR (Air Fuel Ratio) for a certain load on the engine. It does this through a combination of sensors and fuel injectors … the brain of the car knows what AFR it needs to be for a given temperature, humidity, speed, rpm and load. It tells the injectors to deliver fuel at a set rate, and everything works like magic. ​But when adjustments need making, the ECU (Electronic Control Unit) will always err on the side of safety and caution, which invariably means losing power. For the main part, it’s fuel quality (or octane rating) that will affect it. ​A carbureted engine doesn’t have the sensors and electronic trickery to adjust fueling or ignition, so unless you can find your 91 (at least) rating local, you’ll be looking at knocking some ignition timing out of the motor to stop it pinging, and then of course, it feels flat as hell. ​So what’s the answer to the problem? Octane booster. ​Whether you intend on using an octane booster as a regular thing ‘just to be safe’, or use the car hard at a race track, keeping a bottle of octane booster in the trunk is sensible.​ And if you compare it to the price of regular gas versus premium, it’s pretty cost effective too. ​One 15oz bottle treats 25 gallons of fuel, so you can literally just throw one bottle in the trunk and it’s there the next time you fill up … you won’t have to carry huge quantities or try and split it in to smaller containers. ​They say that it’s been tested and proven to deliver (on average) 3x more boost than other brands, it’s hard for the public to dispute that, or test that, but I guess that the proof is in the eating … does it stop knocking and pinging in a high compression engine? They say it does. ​It’s safe for all fuel sensors and components … the O2 sensor, catalytic converter, turbos and injectors, although some people say that it leaves a sort of orange hue to the internals. ​It helps to get your engine running cleaner and more efficiently, promotes a cleaner burn and helps to reduce emissions. Safe to use in either carbureted or injection engines. I like the fact that it’s 12 individual bottles rather than one large messy container. A great choice if you’re looking to use it regularly. 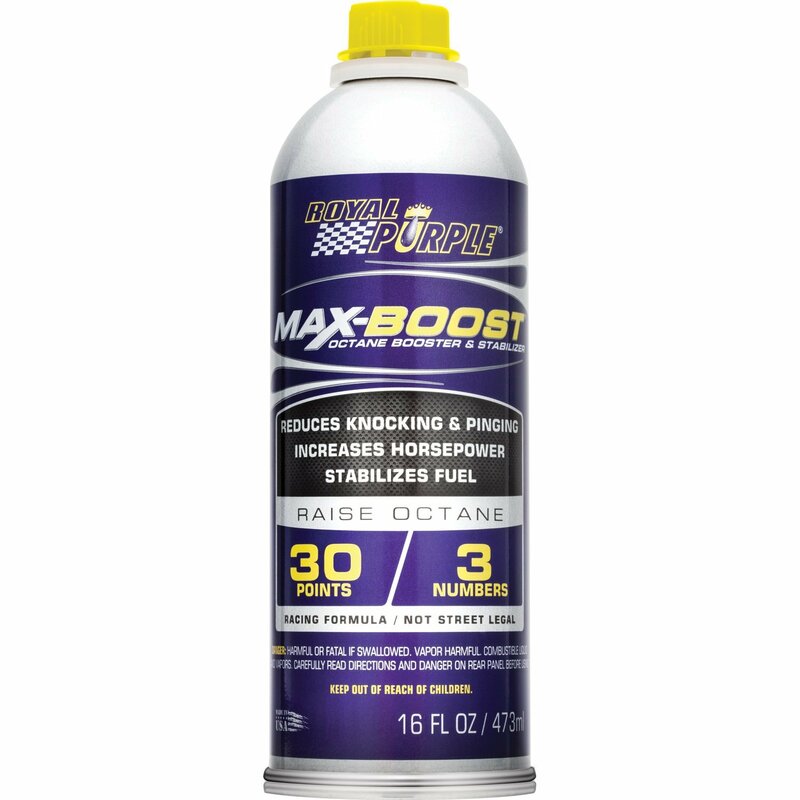 ​The Torco booster uses a blend of ingredients to change the properties of regular pump gas to something close to a race fuel, it significantly raises the octane rating of any fuel, ​but the quantities stated (to use) are higher than some of the other brands here – adding the full 32oz to 10 gallons of gas should make it the equivalent of 102 octane, whereas drop that to 5 gallons and you’ll see 105 octane rating. ​It’s completely safe to use on regular engines, and won’t harm expensive components … like O2 sensors and catalysts. If it’s higher octane numbers you need, then the Torco fuel accelerator is a good bet, ​and be aware that the costs could mount up. ​The Klotz octane booster not only works well, but it’s simple to get right – one ounce to one gallon will raise the octane by one whole number, Klotz say that it can raise pump gas octane ratings by up to a factor of ten. ​It uses tetraethyl lead substitute for an increase in lubricity and the formula helps to stabilize the flame front and control burn speed for maximum efficiency. Not only that, but it acts as a great fuel system cleaner, whether that’s a carburetor or full injection system. ​Safe to use with all fuel systems, and like the others, won’t cause any damage to the sensitive parts of an engine or fuel system. My only bug bear with this, is the size of the container – 1 gallon means that you’ll have to decant it in to something smaller if you want to carry it around and make it handy. ​The ROY11757 Max Boost from Royal Purple has a great reputation, and with good reason I feel. It can be used with any type of fuel system, and any gas … leaded, unleaded, ethanol … whatever the blend, this stuff will work. ​It replaces the lead additives which older style engines need for protection of the un-hardened valve seats, cleans the fuel deposits from fuel systems and carburetors and helps to minimize power loss due to engine knock or pinging (where the electronic control is cutting ignition timing for example). ​They say that this is a race formula, ​therefore it’s not street legal, but to be honest, a great many of these octane boosters aren’t actually certified for road use. In terms of octane ratings, it can raise the octane rating by up to the three whole numbers (or thirty points), when mixed to the correct ratio. ​The bottle is small enough to carry around, and it’s well priced … always worth keeping a bottle handy, especially in warm weather. ​Despite the small size (5.25oz), one bottle can treat up to 21 gallons of gas, ​of course you could always double up if you’re still noticing problems. ​It’s a two in one formula that helps to clean the old gas deposits from the fuel system, as well as reduce pinging and engine knock. They don’t give specifics as to how much it raises the octane rating, but like I say, doubling up would surely cure any problems. ​It’s been designed for regular use – comes in a pack of 12, ​a super handy size​. Maybe worth running through every tank of gas just for the cleaning effect, and it’s priced well enough to do just that. ​Where do I start with the BOOSTane? It’s had independent 3rd party testing and was the SEMA LaunchPad Product of the Year winner, and it’s the first product of its kind to combine it with technology – there’s a smartphone app that runs along side to give you an exact ratio of how to mix it for a given result – clever huh? ​The formula helps to restore lubricity, remove sediment, prevent depositing & corrosion … all the while offering the ability to raise an octane rating up to a maximum of 116 … that’s proper race car fuel in a can. ​This means that even heavily modded cars, using a high state of tune can run safely at maximum boost pressure, or high compression without the fear of suffering from pinging or knock​. If it’s a horsepower war you’re entering (aka, a dyno day), then the BOOSTane Pro is the product that you’re going to need. ​Having read up on all the tech specs and details, you’d expect it to be almost prohibitively expensive, but it isn’t, in fact it’s an extremely cost effective way of raising octane ratings. ​This would be my product of choice if I was looking to pull some big horsepower numbers on a dyno … it will cope with the additional heat, load and force. ​This might not be setting the horsepower world alight, it may not list a million things that it can do, but this product was the original octane booster – right back in 1975. ​As such, it will always have a loyal following of fans, and while there may be more technical blends & formulations, this does exactly what you need it to – raise the octane without trying to be too fancy. It also helps to clean the fuel system, both in carbureted or injection engines, and one bottle treats up to 18 gallons of gas – the original product! Used daily, you’ll notice a difference in power and efficiency. ​It’s worth remembering that most of these products aren’t EPA approved, so probably aren’t legal to use on the road, especially in California​. 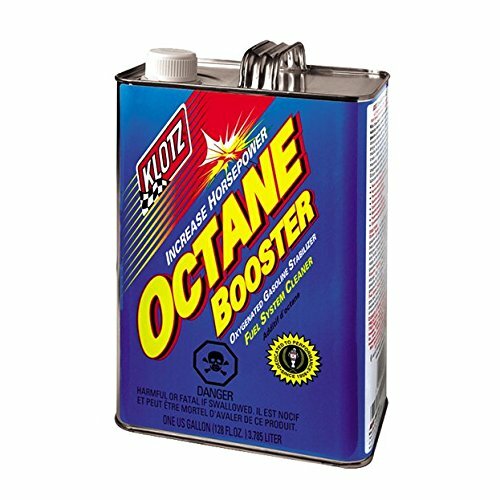 ​Whether you’re looking for a fuel system cleaner or octane booster (or both) will have an influence on your choice, but the reality is that they’re all pretty safe to use in a gas engine, they all have some sort of cleaning element, and they all boost the octane rating – some just do specific jobs better than others, and that’s why you have a choice.